David Ricky McGrath , age 73, passed peacefully in his sleep on Sunday September 9th, 2018, which would have been his mother’s birthday, in Marlborough, Massachusetts. 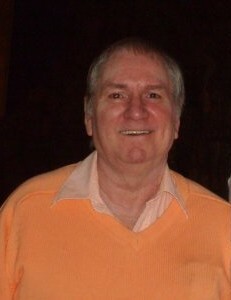 David is survived by his wife, Edythe McGrath, of 35 years and his children. Lyssa McGrath, Shaun McGrath and his fiance Ana Fernandes of Marlborough. His oldest daughter Terese Leger and her husband William (Bill) Leger, and David’s only grandson William (Billy) Leger Jr all of Framingham. His sister Diana Rigoli, her husband Richard Rigoli and their two children Adam Rigoli and Ashley Rigoli. Also, his sister in law Diane Johnson and his father in law Freeman Johnson both of Centerville, as well as many other loved ones. He is preceded in death by his mother and Father David Patrick McGrath and Rita Terry McGrath. David was born on March 21st, 1945 and spent his life celebrating the good times with a bright smile and a cheerful hello for all those he met. He was an avid sports fan of all Boston teams, he rarely missed watching a game on TV or a chance to collect various types of memorabilia. He enjoyed reading the newspaper, staying up to date with politics, being a culinary critique for new family recipes and the chance to tinker with technology. His family and friends will always remember him as a joyous, thoughtful and caring person. Calling hours are scheduled for Thursday, September 13, 2018 from 4 p.m. until 7 p.m. at Tighe Hamilton Regional Funeral Home, 50 Central St., Hudson, MA, 01749. In lieu of flowers, gifts may be made to Dana-Farber Cancer Institute in memory of David Ricky McGrath to support cancer research and patient care at Dana-Farber Cancer Institute, P.O. Box 849168, Boston, MA 02284 or via www.jimmyfund.org/gift.